Lately the great shows have been coming fast and hard in Miami and this weekend we have another biggie. 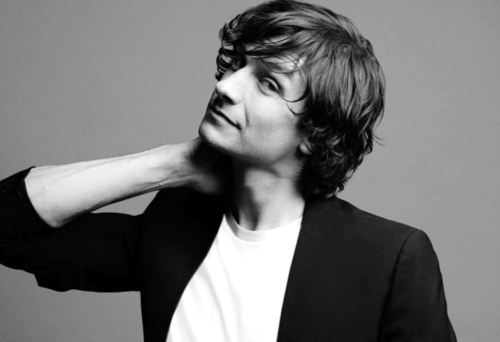 Gotye will be making his Miami debut this Sunday, October the 7th at Bayfront Park. I have to say like most of you we loved "Somebody I Used To Know". We picked the track as our favorite track of 2011 along with M83's "Midnight City" (who recently played in Miami at The Fillmore and blew us away!!!). Months after we picked both these tracks as our faves of 2011, they broke into the mainstream where they became huge hits in the spring of 2012, particularly "Somebody I Used To Know" that made it to #1 on tons of international charts and broke Itunes records. He even made it to SNL where he did an amazing job with the lovely Kimbra who's career is blossoming as well. The funny thing is he is an amazing artist with lots of great tracks/albums. I hope he doesn't get pigeonholed as a one hit wonder, because he is far from it. Eventually after hearing "Somebody" about a million times I finally grew weary of it, but that's not to say it isn't an amazing track to begin with, otherwise the whole world wouldn't have fallen in love with it. Here's to hoping he can keep the momentum going with future albums as the pressure mounts. Something hard to do in today's rapidly changing pop music world, but if anyone can do it I think he can. If not I think he will still have a great underground following which I'm sure is all he probably wanted in the first place. This weekend let's forget about all that and celebrate the triumph of this Australian making it to the top of the pop world. A hard feat indeed and well deserved! The winner will be chosen Saturday, October 6th.